Here at J. Gibson McIlvain Lumber we’re pretty prejudiced when it comes to our favorite natural resource: Wood is truly a thing of beauty. Perhaps this fact is most clearly seen in quality millwork, which both requires and highlights the most striking and consistent top-grade lumber. 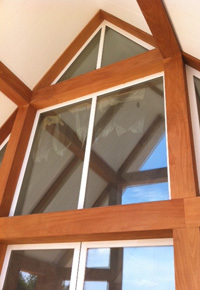 The current trend toward natural wood millwork designs is challenging the market that has grown accustomed to a reduced demand, in favor of engineered and composite materials. As delighted as we are to see so many gain a renewed interest in the beauty of natural lumber, we can also foresee a couple potential problems. If you’re interested in real wood millwork and also prefer to avoid headaches whenever possible, read on. The two basic frustrations that can come up are essentially due to misunderstandings about the lumber industry and the nature of lumber, in general. As a naturally occurring building material, wood cannot always be made-to-order — simply because of the fact that wood is not made, but grown. 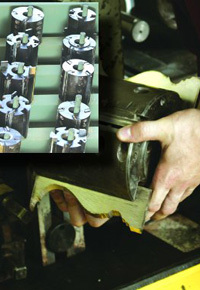 A sawmill or lumber supplier only has what’s available from which to build your order. Perfect color-matching or certain sizes may not be attainable. To make sure your designs are attainable, you’ll want to consider the realities of lumber before you draw up your design. The concept of value engineering is quite in vogue these days, and it’s a way to describe the idea of creating designs with the limitations inherent in a wood species in view. With value engineering, the price of a particular design also comes into consideration. Of course, that’s not to say that a design that’s value engineered utilizes the least expensive grades or sizes of lumber, but rather that price becomes a factor. Consider, for instance, an initial design that calls for 10-inch-wide baseboard mouldings. Since that width is hard to come by in the prescribed species, the question is considered: Will the extra two inches be significant enough to validate the additional time and cost? A savvy designer will probably re-engineer the design specifications to increase the value to the end-use customer. While any wood project is prone to color variation, large runs of flooring, paneling, and moulding are especially prone to come up short of meeting color-matching standards. 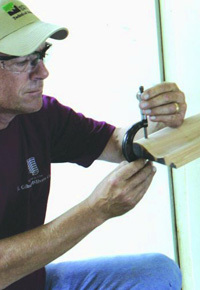 Here’s why: Meeting the size specification of crown moulding in lengths of 20 feet will already require picking through a fair amount of lumber. Once those long pieces are found, they’ll each likely be from different logs. 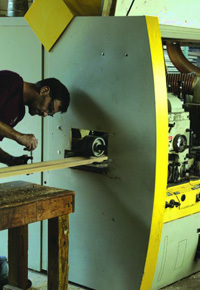 (The same scenario is true with extra-wide lumber such as used for wide-plank flooring.) Because the U.S. lumber supplier can only get milled lumber, rather than logs, of exotic species imported, the color variation can be even more significant. A good designer is a realistic one, and if perfect color matching is requested, such a designer will plan on a unifying stain or at least a wood species that tends to have a more uniform grain pattern and color.